The guide shows the key issues to focus on for the digital elements of international marketing campaigns. It also shows how integration with offline activity should be managed. It will review the key challenges, asks the key questions and lays out a practical guide to answer them when running international marketing campaigns. Running international marketing campaigns gives a fantastic opportunity to gain leads and sales from new countries where you don’t currently do business. But it also adds complexity and additional challenges to every single market activity. From coordinating activity across multiple languages, tackling differing levels of brand, product or service awareness, social and cultural market differences as well as the demands of managing an international team. These are just some of the challenges that marketers need first to understand and then deploy the tools and techniques at their disposal to tackle them. 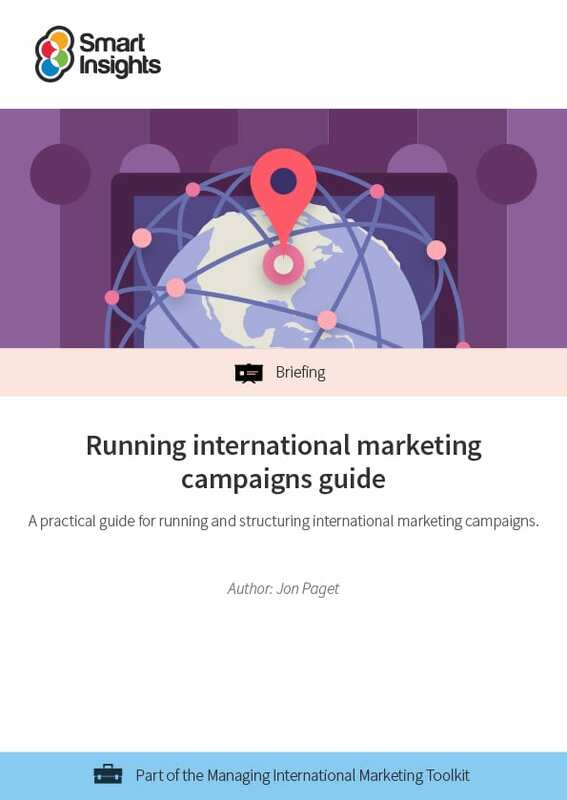 Our guide to running international campaigns is aimed at anyone coordinating or contributing to international marketing campaigns, whether they are responsible or hands on with digital marketing channels or for those wishing to learn more about the role that digital channels play in the running of international marketing campaigns. The guide covers key considerations for planning and budgeting as well as campaign execution and optimisation. Jon Paget is a content strategist with agency and client side experience. His recent roles have focused on coordinating international marketing campaigns at TUI Travel and STA Travel, across a number of international markets. He’s most interested in the role that content and social media play in the customer experience as well as the evolving nature of both customer service and targeted customer acquisition. Based in London, he now works as a freelance content strategist. You can contact Jon directly on LinkedIn or his About.me page. What does this guide include? The guide focuses on the digital elements of international marketing campaigns, and it will show how integration with offline activity should be managed. Business members get full access to this and 4 other guides in the Managing international marketing Toolkit.